Before you know it, the Easter Bunny will be hopping his way over to your home. Do you know what that means? It’s time to start planning your Easter celebrations! 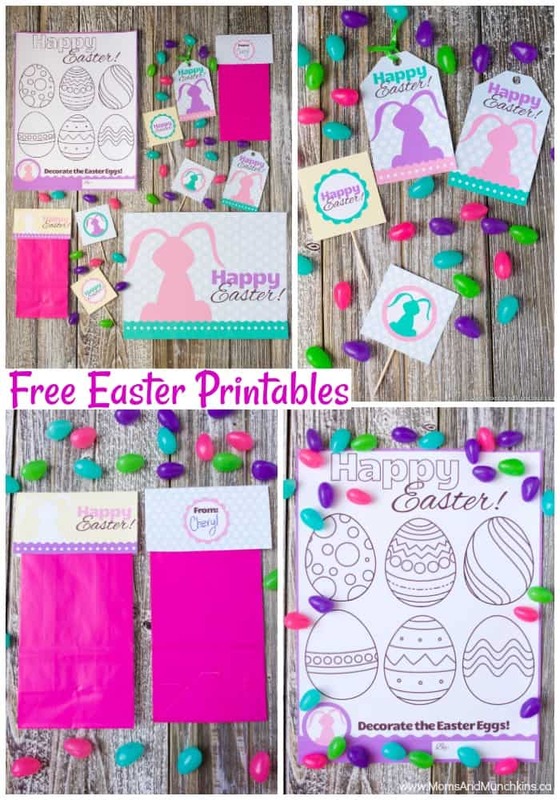 These free Easter printables make a perfect printable package for your Easter party. This package of freebies includes two signs that you can frame, round circles (cupcake toppers), favor tags, favor bag toppers, and a coloring sheet. The free printable signs come in both a landscape and portrait layout. You can even use the landscape one as a placemat! The round circles (cupcake circles) can also be combined with ribbons to make napkin rings or wraps for water bottles. The favor tags can be used on any type of bag or favor box. Simply punch a hole at the top and use ribbon to thread through and tie onto your favor. The free printable coloring sheets are a great activity for the kids! It could be an activity at the party, a favor to take home or even just a fun quiet activity at home. 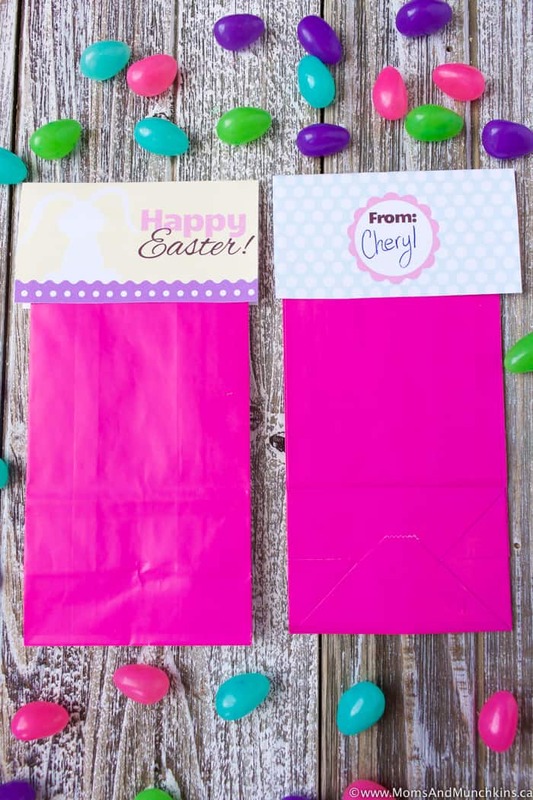 The favor bag tags work great on resealable or colorful paper bags. Simple use double-sided tape to secure the tag to the favor bag. Looking for even more fun ideas for Easter? Check out our Easter page! 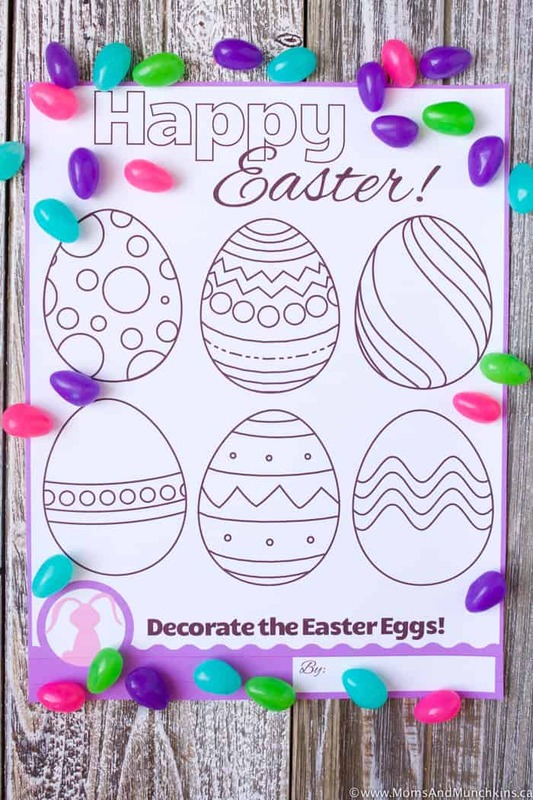 We have Easter party ideas, more free printables, snack ideas and more. 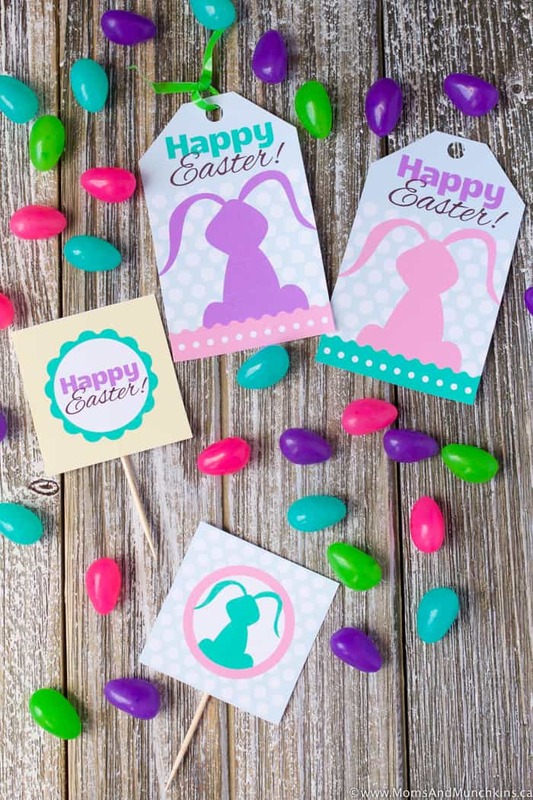 The free Easter printables featured in this post are exclusive to our newsletter subscribers. You can sign up for free here. 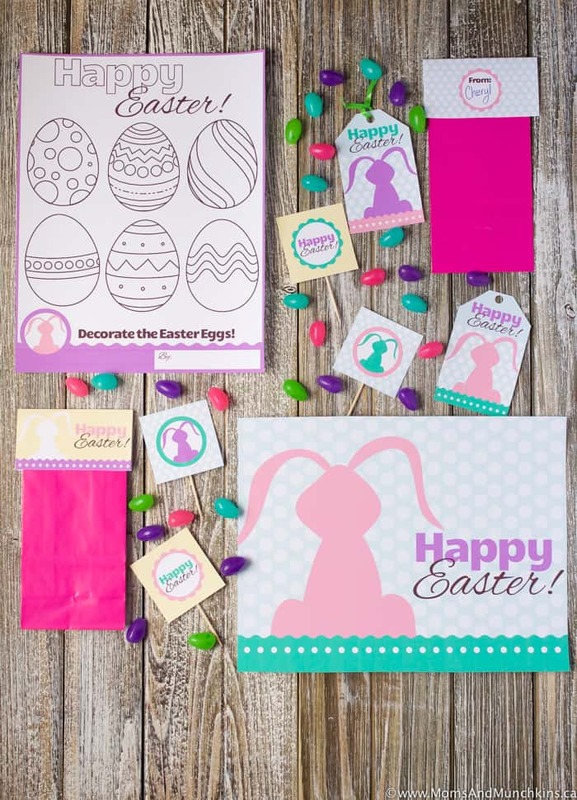 The Easter printables were created by our friend Denise of The CreativiDee Workshop so be sure to pop by her blog or Facebook page to send her a big THANK YOU! Once you sign up for the newsletter, you will be directed to a page with a link to the freebies page along with the password. If you are already a member of the newsletter, you will be reminded of the link and password in each monthly newsletter. We’re always adding new ideas for family fun. Follow us on Facebook, Twitter, Pinterest, and Instagram for the latest updates. Thank you for offering this !! I love these ut I am having a hard time downloading them ? Where is the link to download the individual printables ? Hi Jenny! At the bottom of this post, you’ll see a link to sign up for the monthly newsletter. Once you sign up, you are directed to a page with the link to the freebies page and the password. That link and password is also included in each of the monthly newsletters as a reminder. I see that you are already signed up for the newsletter. I’ll send you an email with a reminder link to the freebies page with the password. I can’t seem to figure out how to print your printables. either. : ( I think I am signed up for your monthly newsletter. You will then be directed to a page with a link to the freebies page along with the password. Please let me know if you have any trouble. Hi Pam! Are you having troubles accessing the freebies? If so, send me a note and I’ll help you out. Thank you for your kind words!